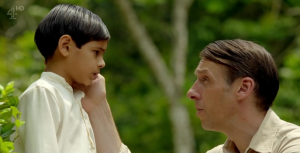 Below is a list of my five favorite episodes from Season One of the British series, “INDIAN SUMMERS”. Created by Paul Rutman, the series starred Henry Lloyd-Hughes, Nikesh Patel, Jemima West and Julie Waters. 1. (1.10) “Episode Ten” – In this season finale, the fate of convicted Indian businessman Ramu Sood is left in the hands of Civil Service official in Simla, Ralph Whelan, after it is discovered that the latter’s servant had killed the woman named Jaya, who was Ralph’s former lover. 2. 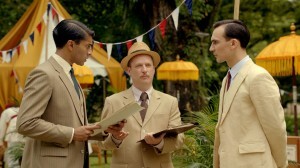 (1.01) “Episode One” – The series premiere opened with the arrival of many British citizens, their servants and officials of the Indian Civil Service to Simla. The train to Simla is delayed when a boy is found collapsed on the railway tracks, while a mysterious assassin makes his way to the city. 3. 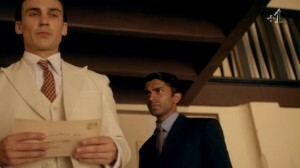 (1.08) “Episode Eight” – Simla’s British community turn out in force for Ramu Sood’s murder trial. The latter’s British employee, Ian McCleod, is wracked with guilt about his part in Ramu’s arrest and an employee of the local orphanage, Leena Prasad, is torn apart in the witness box. 4. 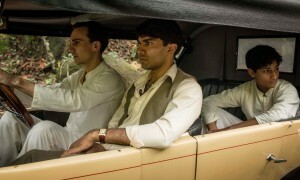 (1.03) “Episode Three” – While Simla prepares for the Sipi Fair, the only time when the Indian community is allowed on the grounds of the British Club; Indian nationalist Sooni Dalal is arrested at a pro-independence rally. Meanwhile, her brother Aafrin Dalal is targeted for a promotion within the Civil Service by his boss, Ralph, who wants him to keep quiet about a mysterious assassin. 5. 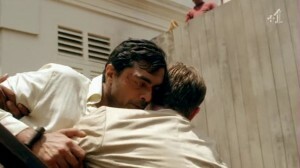 (1.07) “Episode Seven” – While the British community prepares for the social club’s annual amateur dramatic production, a murder victim who turns out to be Jaya, is found in a nearby river.